At the start of this semester, I set a goal for myself to become a morning person. I’ve always been comfortable waking up at an early hour, but in the past, if I woke up early I would have to nap in the afternoon. I felt like taking naps in the middle of the day made the whole "waking up early thing" counter-productive. To me, being a morning person means waking up early (obviously) but also having the ability to be productive and sustain their energy throughout the day. By following the tips below, I can now successfully say I am a morning person. I wake up at 6 am every day and I work on my blog and study every morning before I go to class. I haven’t taken a nap in weeks, and I feel 100 times more productive now that I wake up early. Also, I wanted to note that I wake up at 6 am even if I don’t have anything planned until 11 am. It gives me more time to relax in the morning and that way my body says consistent with waking up at the same time. Pack your backpack, lay out your clothes, and get ready the night before. This tip reminds me of something my mom would always say when I was in elementary school. Getting your bag together and figuring out what you’re going to wear the night before will help you be productive in the morning and ensure that you won’t forget anything for class. Also, if you have a roommate, you’ll be less likely to wake her up when all your clothes are laid out rather than digging through your closet for a cute outfit. Count your sheep and get a good nights sleep. Everyone is different, but in order for me to function the next day, I need at least 7-8 hours of sleep a night. Anything less than that and I’ll be a zombie the next day. I’m not a night owl at all, so I love going to bed early! There’s no better feeling than curling up in your warm bed after a long day. If you struggle to fall asleep, I recommend reading a book (not a textbook!) in bed rather than checking social media on your phone. The light your cell phone emits makes it harder for our bodies to relax and get ready to sleep. If you have a roommate who stays up till the crack of dawn, try using an eye mask and earplugs so they can do their thing, and you can do yours. 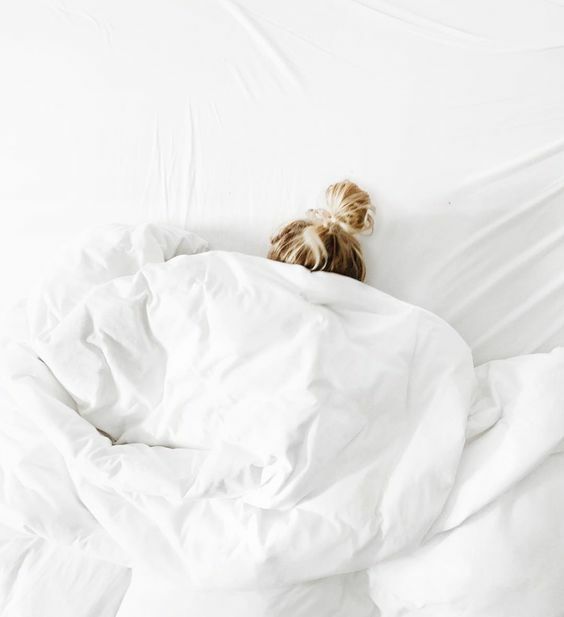 Being able to have an efficient night’s sleep is critical to becoming a morning person. It's time to get out of bed the minute your alarm goes off. Hitting snooze every five minutes will make it so much harder to get your day started. I only set one alarm on my phone so I know I have to wake up when it goes off to avoid sleeping through my class! I’ve heard of some people putting their phone on the other side of the room, so they have to get out of bed to turn it off. Do whatever works for you, just make sure that you get up! Not going to lie, one thing that gets me out of bed in the morning is knowing that I have avocados in my kitchen and that I’m going to make avocado toast and eggs as soon as I get ready. Have some of your favorite breakfast foods in your kitchen that will help make your morning ten times better. Also, I recommend making something that is healthy and will provide you with energy throughout the day. I have a blog post here with two acai bowl recipes that are perfect for breakfast, check it out! I’m assuming that since you’re waking up early, you are going to have some time to do whatever you want. In the morning I make a cup of tea and write in my five-minute journal to help get my day started. I’m going to write a whole blog post about the five-minute journal in the future, but in short, this journal has helped me grow into a more positive and grateful person. I highly recommend it to anyone to add a positive force to your day. Another way to make your morning positive is to play your favorite music while getting dressed or spend some time stretching/doing yoga to wake up. When you wake up, do what makes you happy and that will start your day on the right note. 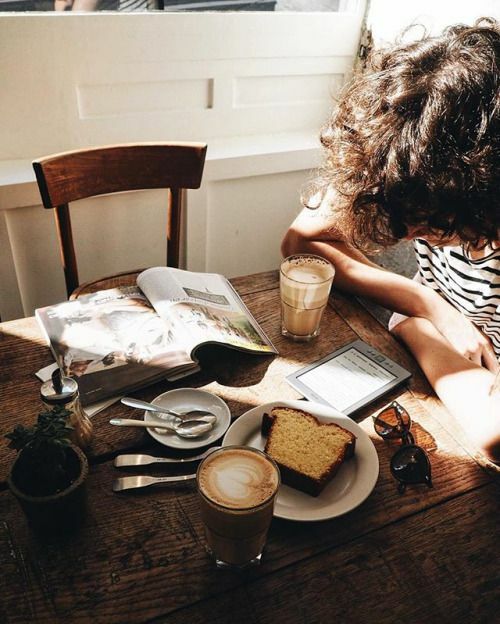 How do you want to spend your morning? So your awake, you’ve made your breakfast and written in your journal, now what? Before embarking on the journey of becoming a morning person, ask yourself, why do you want to wake up earlier? Is it because you want to hit the gym or the textbooks? Or do you want the luxury of being able to wake up before the sun rises? Whatever your reason is, write it down so you can look back at it during the mornings that you don’t want to get up. I wanted to wake up early so I could work on blogging. I knew that I didn’t have time during the day with work and college, so waking up early to write was the solution I found. I’m so grateful that I decided to do that. I love being able to write in the morning, distraction-free, and it sets me up to have a productive day. I know this post was pretty long, but I hope it inspired you to wake up earlier yourself and get the most out of your day. It's not an easy process, but it is possible to become a morning person. If you have any questions or comments, please leave them below and I’ll get back to you as soon as I can. Have a wonderful Wednesday (and if you’re reading this the day it’s published, Happy Valentines Day!!) and I’ll talk to you on Friday.